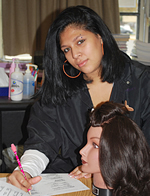 COSMETOLOGY SKILLS will provide students with an introduction to the appearance enhancement industry. Students will have the opportunity to learn and practice basic hands-on skills in hair, nail, skin and make-up. Individuals working in the appearance enhancement industry have direct contact with the public. Strong interpersonal and communication skills are necessary. Special attention in the areas of personal appearance and hygiene is essential. Additional supplies will need to be purchased for this program. CTE Skill Programs follow the same curriculum as their respective CTE Program counter-parts, except at a moderate pace, in a smaller setting with extra support. Students will receive preparation for entry-level employment and/ or post-secondary education and are expected to function autonomously. Transfer into more advanced programs (CTE Programs) is contingent upon a student's success. Employability Profiles will be utilized to evaluate students' universal foundation skills and work-based technical skills. Districts may utilize the Employability Profile as part of the criteria to meet the Career Development and Occupational Studies (CDOS) Credentials and the CDOS Multiple Pathway option. 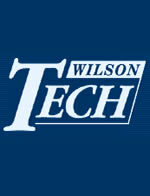 Our Career Assessment center, located at Wilson Tech's Huntington campus, evaluates students' career and academic strengths and weaknesses. The Career Scope is utilized as a Level 2 Assessment. A summary is derived from the students' responses and a list of appropriate career choices is presented.